2010 is in full swing and we are starting off with a BOOOOOOM! Tour kicks off next week, so today we are unleashing this new Remix pack, which features 2 new Bassnectar re-interpretations of Boombox and Teleport Massive (both erupted at New Years eve and will be in heavy rotation @ the upcoming shows). In addition we have some AMAZING remixes from the likes of RJD2, Robot Koch, Son of Kick, DJ Vadim, and Stagga – available at Bassnectar.net and at all the major retailers. Order through the little shoppe at Bassnectar Labs and get the exclusive bonus remixes of Cozza Frenzy, Boombox, and West Coast Lo Fi Rides Again by J Boogie, Amp Live, Mexican With Guns, Stylust, and SF’s own Roomate. 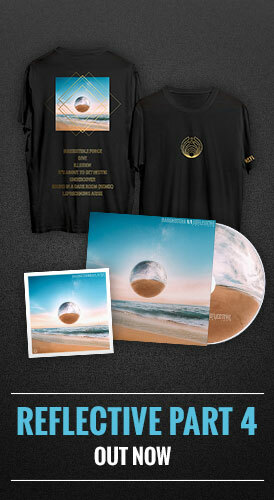 Visit RemixPack.Bassnectar.net and grab the remixes, some new instrumentals and remasters, plus the new podcast, as well as some other bundles including the Cozza Gold pack, DJ Tools, and limited collector’s edition set of Bassnectar music & gear (including a coupon good for either free cotton candy, or 1 free ride at Lorin’s new amusement park, set to open spring of 2046 or later, prices may vary…avoid taking if you have an allergic reaction to the sun or suffer from chronic disappointment. in general, if you develop gold and purple dots on your face please consult a physician. you may also want to ask about some new glasses? ..just sayin…). Feb 1st starts the Northwest tour run with events scheduled in Mendocino, Arcata, Eugene, Portland, and Seattle. We are thrilled to be joined by Eliot Lipp, Emancipator, and Danny Corn!!! Then we cruise to Tempe, Arizona on Friday February 12th with DJ Element and on February 13th we’ll head down to LA for Lucent L’amour: The Do Lab’s annual Valentine’s Day fiasco, featuring a massive lineup of all your favorites plus N.A.S.A. and the Stanton Warriors…. then bouncing back up to homebase, closing out Valentine’s Day proper alongside Brother, Little John, Raindance, & Magnetic Sound crew in Santa Cruz on Sunday night – Monday is a holiday so get ready to raaaaaage! We are toting a huge wall of PK subs to each event to fill your bodies with bass; as always ear plugs are free but you are encouraged to bring extras to share!!! While you are at it, you are encouraged to bring all sorts of gifts to share with each other. Why not??? CAN’T WAIT TO SEE YOU ALL OUT THERE!!!! Visit the tour schedule to grab the discounted tickets or subscribe to the Tour Blog & follow online with the freak show. 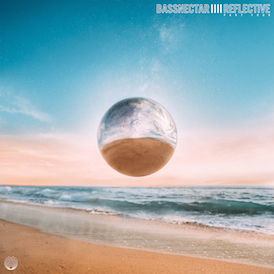 And, as mentioned above, head over the to the mix set section at Bassnectar.net and enjoy some FREE MUSIC: the new 2010 IDJ Mixtape…. 44 minutes and 25 seconds of 10th-generation genre-re-wiring, exploring bass music through an open-minded lens, regardless of tempo, or even beat-structure… this sound clash aims straight for your body, with the intent to melt you down into a fidgeting, wobbling mess of enthusiasm and delight. In addition to some of my favorite old records and samples, this mix features several brand new Bassnectar tracks, heaps of exclusive edits, re-edits, and re-re-re-edits. Lot’s of re. Lot’s of mix. Lot’s of edits. We tore our favorite drum & bass to shreds, injected hip hop with some pogo-stick bass, amped up the tempo of dubstep, freaked out the gypsies, gave a nod to the dreamy 80’s and ended up similar to where we started off: omni-tempo maximalism strikes again. I hope everyone is doing well out there, the new Decade is exploding and we are thrilled to be here living it with you!! !